Document all of the conversations you have with the insurance company. Make sure to review the LTD policy before making any decisions related to filing for an LTD claim. Make sure that you immediately respond to all correspondence required from you. Immediately provide all supporting documents that are being asked by the insurance company. Avoid frustration if your LTD claim is denied because everyone has the right to file an LTD appeal. Though the above tips are worth considering, applying for long-term disability benefits can still be tricky, especially if you are unfamiliar with the process. 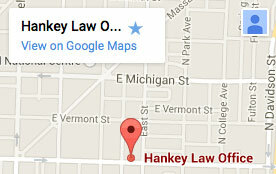 However, if you are filing or appealing your LTD benefits in Indiana, the skilled attorneys at the Hankey Law Office may be able to work for you. Find out how we can help you get your benefits today by calling (800) 520-3633.